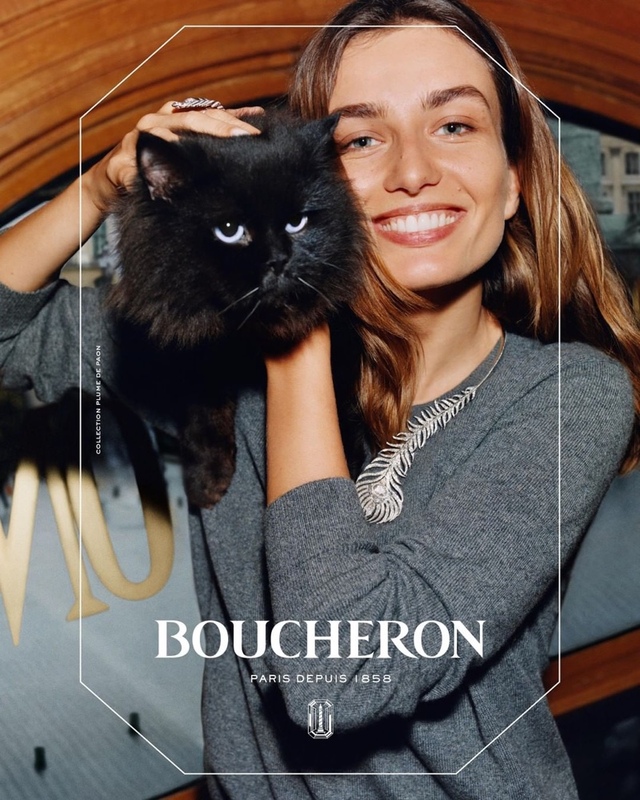 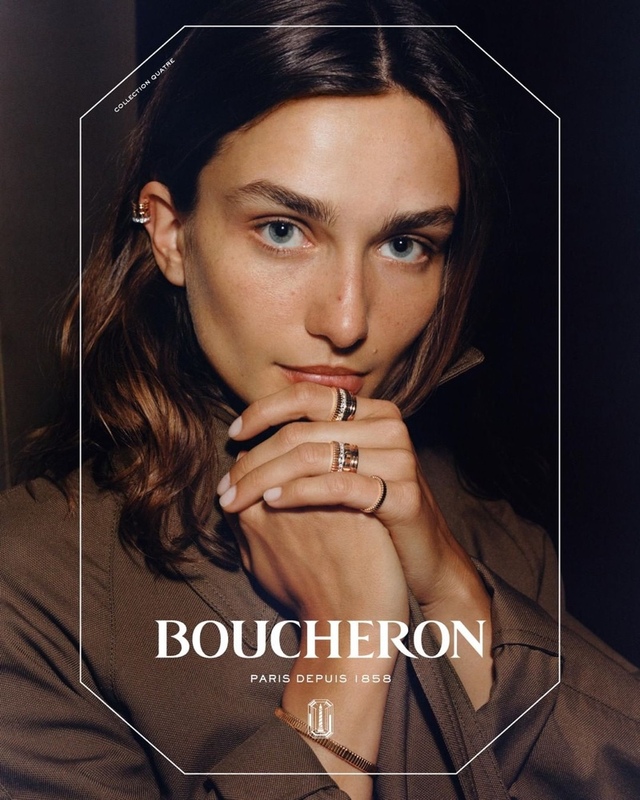 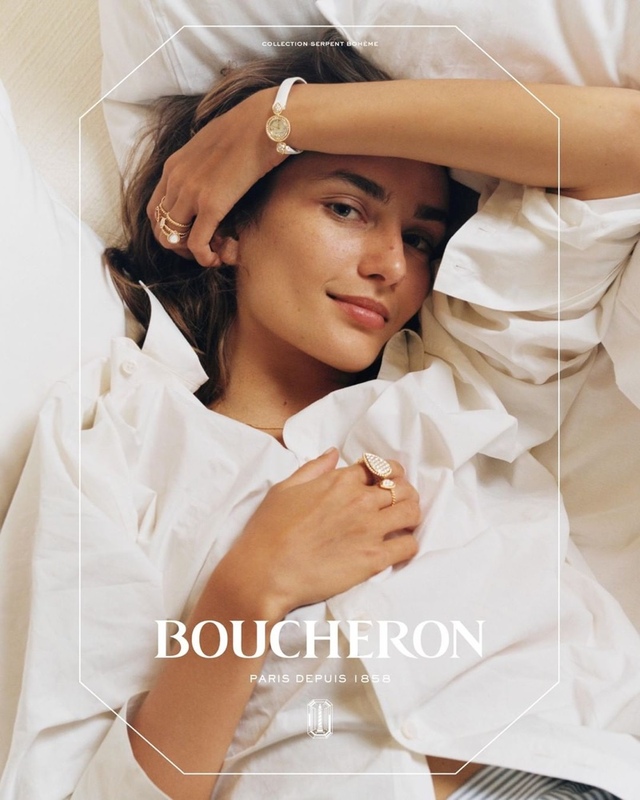 Paris based luxury jewelry retailers Boucheron brings forth its 2019 Campaign and enlists Romanian supermodel Andreea Diaconu to star in it. 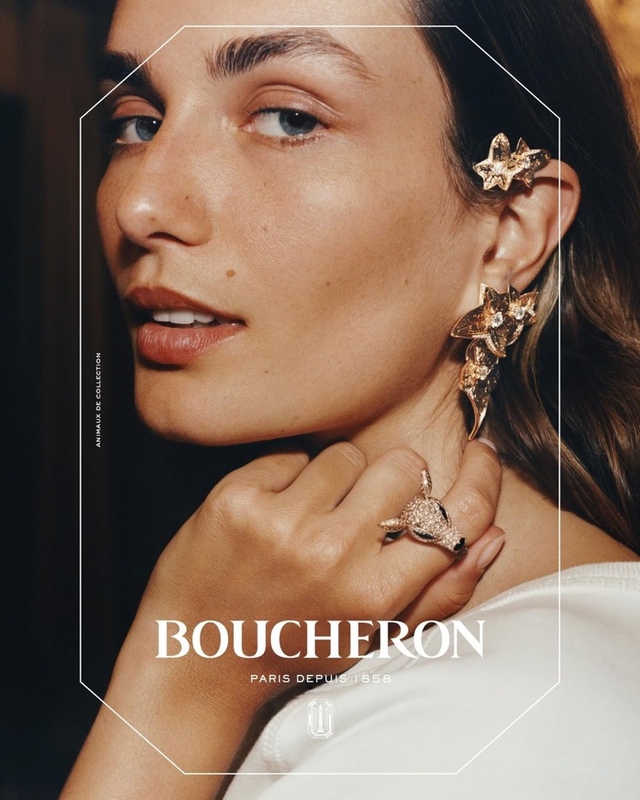 Featuring an array of whimsical designs of high-end jewelry, the campaign is lensed by Oliver Hadlee Pearch, in bare minimum pictures that focus on the glamorous pieces. 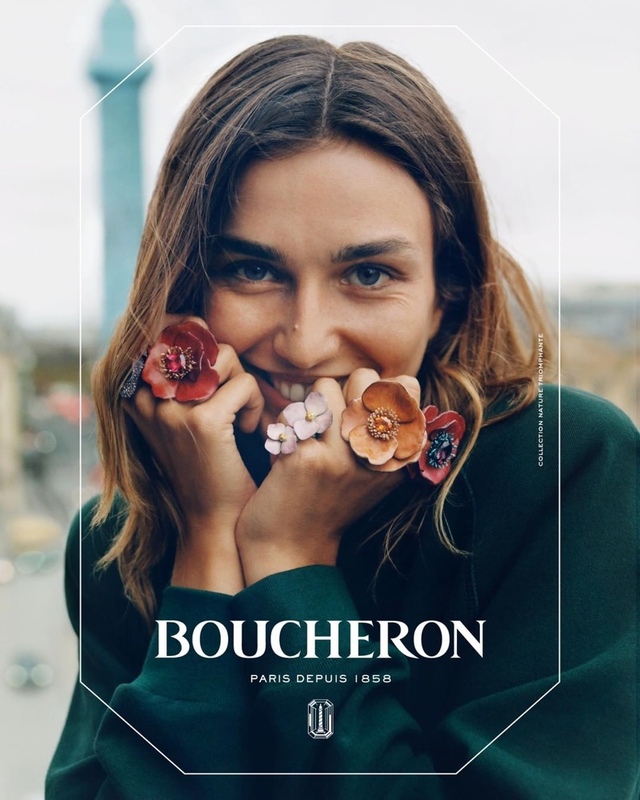 With styling by Camille Bidault-Waddington, Andreea wears knitwear and button-up shirts, but the limelight falls on the stunning Boucheron jewels including rings with floral and animal accents and designs from the Serpent Boheme collection. 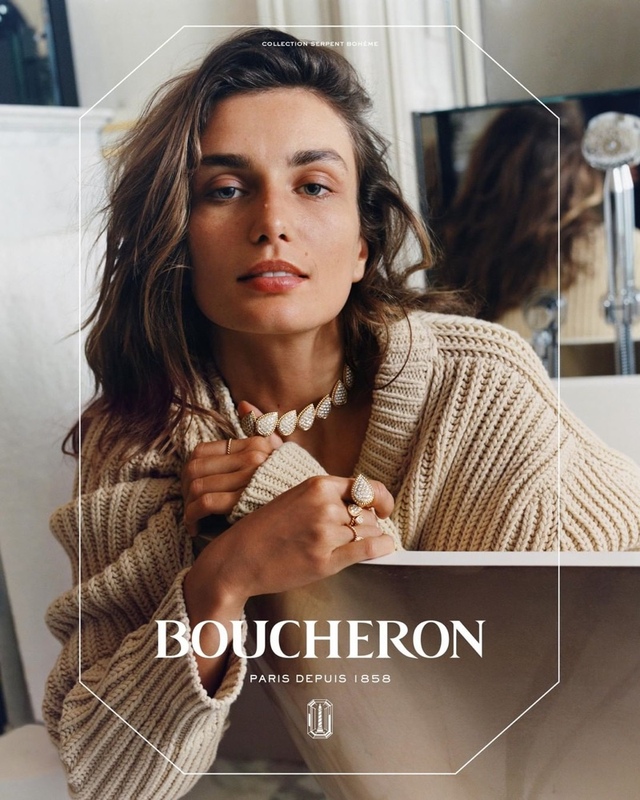 Karim Rahman has given the 27 year old model a minimal makeup and her hair is done by JAWARA along with manicure by Julie Villanova.